You are here: Home / What’s on The Vivienne Files Bookshelf? What’s on The Vivienne Files Bookshelf? Yes, the book is blindingly expensive, but if you’ve never felt like you are beautiful or that your particular “type” is lovely, this book might change your mind forever. The authors site a wide variety of fine art from throughout history in order to demonstrate that everyone is beautiful. Period. I’m not completely convinced by every one of the exercises in the book; I’ve never been sold on the “your best red is the color of the blood drawn from your right kneecap at midnight under a full moon while chanting the lyrics of the full Partridge Family oeuvre and facing east” school of colors, but if it works for you, I encourage you to persevere. If I were only going to recommend one book for building self-esteem and looking at your face and body in a new way, this would be it. If you’re comfortable with your face and figure, but still struggle to clearly define the essential “you-ness” of your style, take a look at this book. These authors show you examples of individuals who have worked through their system – and it’s FASCINATING. The core of their approach is to analyze all sorts of things about your life, and then distill the entirety of it down to two words, (an adjective and a noun, FWIW), that encapsulate your essence. For me, I was able to whittle myself down to Cosmopolitan Clarity, and it’s been wicked useful to refer back to when I’m losing focus. The photographs are laugh-worthy, but the essential advice here is timeless – buy less, buy better, accessorize it in your own wacky way, and take good care of yourself. Now that the prices for this book have dropped from the stratospheric levels of about 10 years ago, it’s good fun to page through, and it helps me remember that the essential wardrobe items are actually very few in number; more is not necessarily better. And of course, if you haven’t already read Forever Chic by our friend Tish Jett, of A Femme d’un Certain Age, what are you waiting for? These all seem like great books. 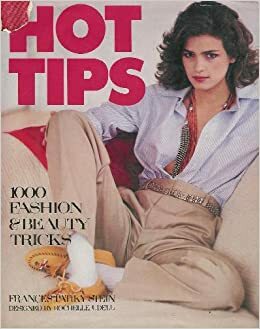 Back in the early 1980s I bought "Hot Tips" by Frances Patiky Stein. Thirty years later, I still enjoy flipping though it. And, yes, I agree with your comments. Much of it is dated, but much of it is still amazingly relevant today. And the many line drawings are fun to see. Also, for what it's worth, my hip 26-year-old Coachella-attending daughter also enjoyed reading it. Thank you very much for these recommendations. I find "Style statement : Live by your own design" particularly compelling. Watching the video of the two authors on Amazon, I love their emphasis on authenticity. In fact I'm going to order a used copy. 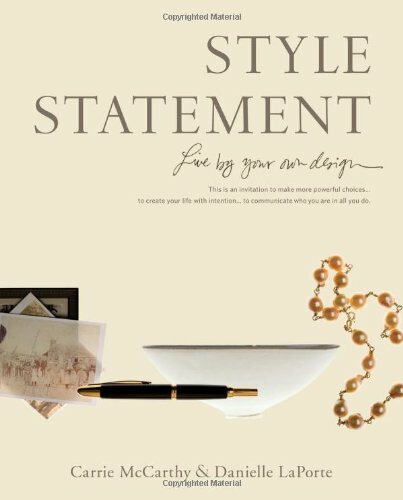 I also just ordered a used copy of "Style Statement" and am looking forward to receiving it. My style (or lack thereof) is all over the place these days. FYI, the Trish Jett link didn't work for me. Thanks for the recommendations! I have #s 3 and 4-bought the years ago, and just can't get rid of them. There are indeed timeless ideas in both-and the pictures, while wonderful in the 80's, are so funny and cool now. I looked up that first book on amazon. Geez. Guess I'll have to pass on that one. Thanks for the interesting post. I have #s 1 and 2. I like "Style Statement", but have not yet managed to figure out my own, and I'm too cheap to go for the 'phone consultation. The "Triumph…" was a very happy thrift store find, at about $6.00, maybe two years ago. I believe it's available now from the authors as an e-book. It's one book whose illustrations don't date, being paintings and sculptures. I bought #1 back when it was being sold in bookstores (old am I) and it is the one book that has survived multiple moves and continual purges. As for #3: Any book with Gia on the cover should be bought for that alone. Thanks to an earlier mention in your blog, I worked my way through Style Statement last year. Very interesting, not sure my result was 100% definitive, in any case the process was eye opening and worthwhile. I'll try to find these others in the library. I've found "Simple Isn't Easy," by Olivia Goldsmith and Amy Fine Collins, to be a short, sweet, helpful resource. Many of the timeless principles illustrated so helpfully in your blog, Janice, are discussed here. Your no. 3 choice really reminds me of a Sunday Telegraph women's supplement I kept for years, probably from around 1982, with a long list of ways to wear basic T-shirts to cover every event 🙂 Sounds like maybe this came out at the same time as the book you mention! I am not affiliated in any way, just love the exercised in the book. They are fun and quite eye-opening. Gosh, the cover of #1 is so ugly that I wouldn't be able to take anything it said seriously … Style Statement is definitely worth a look. I bought the Style Statement book when it was released and the two authors were still doing consultations. I did not get a one-on-one consult, but did every exercise in the book, with pleasure. I do use my two worded style statement to this day, so I feel is was a worthwhile endeavor. I laughed right out loud at your theory for chosing your "perfect red!" hehehe!! I do believe certain colors look better on certain people though!! I have most of these too…and love them all, especially my French Chic book. I will have to check that first one out from the library. Another you might enjoy is "Looking Good" by Nancy Nix Rice–dated but timeless! I have all those books except style Statement which I had never heard of until now. I will have to check it out. I also highly recommend "Simple isn't easy" if you can find a copy. Also an updated version of Looking Good by Nancy Nix Rice should be out soon. I loved your first listing above, The Triumph of Individual Style. It changed the way I looked at myself and my wardrobe, and I've seen its principles confirmed when I see people in outfits that look especially flattering. And I'll also throw in another vote for Simple Isn't Easy. I've read it numerous times, usually when I feel like my style has gone astray.